The growing popularity of electronic cigarettes in California has attracted the attention of lawmakers, Big Tobacco and pharmaceutical companies. In an ongoing battle to defend their customers, many southern California e-cig businesses have joined forces in a friendly yet groundbreaking coalition. I started smoking in 2003 during my freshman year of college. Back then it was just a social thing, mostly at parties where a cigarette was calming for a stomach full and a lighter was an ice breaker. As time progressed and classes became more stressful, smoking gradually became a part daily routine. By graduation, I was up to half a pack a day. And while I never quite progressed to a pack-a-day smoker, the harmful effects were creeping up on me. My anxiety levels elevated, lung capacity decreased and I would wake up every morning with chest congestion. Smoking was no longer fun or cool. Last year I decided to try my first electronic cigarette in an effort to better my overall health while saving money. I wound up paying somewhere around 8 or 10 bucks for a cheap rechargeable e-cig from my local 7-Eleven. It had the appearance of a clove cigarette, around the same size and was a sleek solid black in color. To my dismay, within minutes of returning home I was smoking another cigarette. The mass produced “mini” e-cig just didn't have the same taste, throat hit or buzz as the real thing and it felt like I was only breathing in air. Luckily, a few months later I was introduced to the evolved e-cig: an Ego-T. Thanks to Google I was able to discover a small shop dedicated to electronic cigarettes. Vapor Labs was only a few minutes from my house and the guys there set me up with a cartomizer tank system and some tobacco flavored juice that hit the spot. While I didn't stop smoking right off the bat, my tobacco intake was drastically cut down. Today I am going on 3 months without smoking a single cigarette and have switched to zero nicotine e-liquid. I only continue to “vape” as a hobby, and because we have an awesome and helpful community dedicated to bettering the lives of smokers. Gone is my old smoker's cough and back is my enjoyment for life. I owe it all to an ever growing southern California market for brick and mortar vapor specific stores. The same can be said for Santa Ana resident Paul Davey. A smoker for 27 years, he was finally able to find a healthier alternative with electronic cigarettes. At the time there were relatively few shops in the area that catered to the vaporized nicotine community so he decided to open The Vapor Loft in Orange, CA. More on the upscale side of things, his shop is a rustic lounge in an old art loft complete with tasting stations, plush leather couches, and iPads to make customers feel at home. The loft is topped off with some of Davey's own photography displayed on the walls throughout the lounge and lobby. While licensing The Vapor Loft was relatively painless for Davey, the legal future is somewhat uncertain for the state's e-cig businesses and vapers alike. With any new hot selling consumer product, the government is bound to step in sooner or later. Regarding e-cigs, several states have proposed various regulations on their sale and usage, including California. In February, Senator Ellen Corbett (D-East Bay) drafted SB 648, a bill that classifies electronic cigarettes as tobacco products and imposes the same restrictions on them that tobacco smokers face. On the face of it, SB 648 looks like a bill created to protect public health. If enacted, it would ban e-cig use anywhere smoking is prohibited, including workplaces, public buildings, and state-operated vehicles. Vapor lounges would be forced to apply for permits allowing customers to “taste test” e-cig flavors inside their stores. Most notably, vapers would be forced into smoking sections of public places and subject to second-hand smoke that is up to 450 times more toxic than what they typical inhale through their personal vaporizers. For more information and updates about the SB 648 bill, visit openstates.org/SB648. SB 648 is, without a doubt, not only a threat to vapers but the vaping community as a whole. As much as California can influence trends in the electronic cigarette market, its laws have the same ability to set precedence in other states and even countries. While the proposed bill may not entirely ban vaping in the state, it would classify e-cigs as tobacco products, further fueling the misconception many anti-smoking activists have toward the devices. The fact of the matter is that while nicotine comes from the tobacco plant, there is no physical tobacco or combustion involved in the vaporizing of e-liquid. The devices have already been proven to be considerably safer than traditional cigarettes and pose no threat to the general public. Many believe these have the potential to save millions of lives. That potential may be limited if governments are allowed to run “nanny states” and ultimately deter many current smokers from giving electronic cigarettes a try. Realizing this, several passionate southern California e-cig business have recently set competition aside and formed a friendly alliance in the fight to protect vapers' rights. In April over 40 local e-cig shops and vendors chartered a bus up to Sacramento to voice their opposition to SB 648 and protect vapers' rights. Among those in attendance was CJ Catchillar, owner of Vaper Venue in Buena Park and maker of Vaping Monkey E-liquid. Known in the community as “The Vaping Monkey”, CJ was recently named one of the most influential vapers in the United States for his work with the VP Live Team and the We Are Vapers documentary. He also acted as a point man during the two public hearings in Sacramento for SB 648 as well as speaking on behalf of the community. While the bill was ultimately passed through to the state Assembly, Catchillar's involvement undoubtedly set the tone that electronic cigarettes are a means to tobacco harm reduction. Since I started some 8 months ago, “vaping” has exploded (read So Cal Vapers Creating Their Own “June Gloom”) in not only the marketplace but also the media. At this rate, it won't be long before vapers outnumber smokers in So Cal. Big Tobacco has taken note, as cigarette sales dropped 6% in Q1 of 2013, and joined the e-cigarette game. Last year, Lorillard bought out the popular blu e-cig brand while the Altria Group, makers of Marlboro, just announced plans to sell their own MarkTen Ecigs starting in August. And the #2 player in the tobacco industry, Reynolds American, just announced they will be launching their Vuse e-cigarette in Colorado in July. And surely with the success of electronic cigarettes as an alternative to smoking, Big Pharma must be taking a hit to NRT sales as well. While nicotine gum, patches, lozenges, etc. protect against withdrawal during smoking cessation, they don't do much to curb cravings or triggers. The majority of vapers had tried them with little to no success before switching to e-cigarettes. In recent months, the FDA has come to the aid of companies manufacturing traditional smoking cessation products by declaring them safe to use for extended periods of time and in combination with one another. Prior to e-cigs becoming popular, nicotine replacement products sold in drug stores came with strict warning labels, cautioning purchasers not to smoke while using their product or combine with another cessation device. Which entity has more to lose? 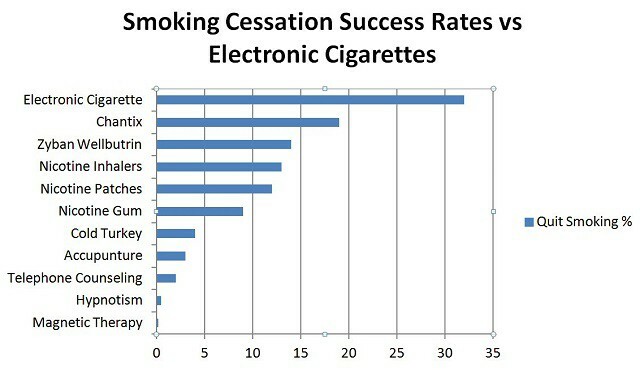 And which one faces the biggest threat from e-cigarettes? Have both longtime rivals in the tobacco game realized their biggest threat is not each other and possibly formed an alliance of their own to take down the e-cig market? After all, pharmaceutical smoking cessation devices would have no place in the market without addicted smokers. It is also possible that Big Tobacco entered the electronic cigarette game not just to grab their share of the pie, but eat the whole thing while using the government to trash the market in the process. Whether or not SB 648 is ultimately passed into law, it's going to be hard to please both sides. It isn't impossible, however. Both Davey and Catchillar agreed that some regulation is needed for the electronic cigarette market. Specifically, there is a need for regulatory standards in the production of e-liquid used in electronic cigarettes. The industry has already created its own self-regulating organization in AEMSA, or American E-liquid Manufacturing Standards Association, to ensure safety in the production of nicotine juice. The organization is just a start, however, with self regulation currently only voluntary by individual e-liquid manufacturers. Davey has strict standards on what brands are sold in his store, and juice makers must pass a series of questions relating to their mixing process in order to make it onto his shelves. Catchillar only uses food grade semi-pharma ingredients bottled in a lab located in his shop. Both shop owners prohibit minors from entering their stores unsupervised and require identification for any and all purchases, including non-nicotine items. One of the main issues in the eyes of vendors is that proponents of SB 648 really don't have an idea of what electronic cigarettes are. Part of Catchillar's motivation to speak in Sacramento was to educate Senate members on the benefits e-cigarettes offer for both smokers and the general public. Although the vaping industry is against classifying electronic cigarettes as tobacco products, it believes business owners have their own right as to whether or not vaping is allowed on their property. There is a fear however, that many vapers will fall off the wagon and return to smoking if they are forced into smoking sections while in public. Hopefully the reasoning behind SB 648 is simply a lack of knowledge on electronic cigarettes. The odd thing is there is plenty of research on which in no way suggests any potential harm to the general public. It would be a shame to find out that public health interest is only a facade of further attempts by either Big Tobacco and/or Phama to keep their stronghold on the market. And hopefully someday the government and vaping industry can form a coalition of their own. For now, the industry stands united in its own fight for what it strongly believes to be the safest and most effective alternative to smoking.